Francesco Maurolico's name is Greek and is transcribed in a variety of different ways in addition to 'Francesco Maurolico' which is the most common. His first name is sometimes given as Francisco while other forms of his family name are Maurolyco, Maruli or Marulli. He used a Latin form of his name in his publications, giving again different forms: Maurolycus, Maurolicus or Maurolycius. His family were originally Greek but had fled to Messina, in Sicily, to escape from Turkish invasions of their homeland, so their first language was Greek. Francesco's father, Antonio Maurolico, had fled from Constantinople to Messina where he was tutored by the Greek scholar and grammarian Constantine Lascaris who had also fled from Constantinople, settling in Messina in 1466. Antonio became a physician and then Master of the Messina Mint (Sicily minted its own currency at this time). He married Penuccia and they had seven sons: Girolamo, Gio-Saluo, Silvestro, Matteo, Francesco, Gio-Pietro, and Giacomo, and one daughter Laurea. The family were well-off owning two homes in and around Messina, a town house and a villa outside the city. Much of Francesco's education came from his mother, described as a wise and noble women, and his father, who taught him Greek, mathematics and astronomy. However, he also learned much from Francesco Faraone, a priest in Messina, who taught him grammar and rhetoric. His education gave him the critical approach of the humanist Renaissance scholars. Thus Maurolico would believe in approaching problems using his intellect, and using his own practical experience. In his compendium of Euclid's 'Elements', Francesco Maurolico modifies the theory of proportions. The Sicilian concentrates on equalities of ratios of Book 5 and tries to avoid handling of equimultiples. He concentrates on isolating 'named' ratios - of a number to a number - and he constantly compares ratios and named ratios. The insolence of the Spanish soldiers returning from the capture of Castelnuovo gave us a winter harsher than usual, so that the barbarians would not incur such consideration from us; among which tumults even I (who would not laugh? ), having put down my ruler and compass, was driven to take up arms for a time. For the example of my Archimedes warned me that in such danger I should not be devoting myself to drawing lines and circles. After several years in the Abbey in Castelbuono, Maurolico returned to Messina where he was appointed as an abbot in the cathedral. In fact he lived his whole life in Sicily except for short periods in Rome and Naples. In Messina, St Ignatius had founded the first ever Jesuit college in 1548. This later became the Studium Generale and is now the University of Messina. Maurolico was involved in the mathematical curriculum that was set up in the College being appointed as professor of mathematics in 1569. It is interesting to note that his contract specified that he was required to teach the theory of music as a branch of mathematics. He also served as head of the mint in Messina and he was in charge of the fortifications of Messina (in collaboration with Antonio Ferramolino worked for the Spanish crown in Sicily for during years 1530-50), largely dominated by the impressive San Salvatore fort, a task he was given by Charles V's viceroy Giovanni de Vega who was President of the Sicilian Parliament in 1546. 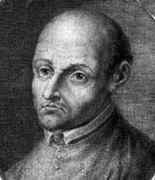 Maurolico was also mathematics tutor to one of Giovanni de Vega's two sons. He was involved in designing churches in the city, and the building of two famous fountains, the Fontana di Orione in front of the cathedral and the Fontana del Nettuno designed by G Montorsoli. In addition he was appointed to write a history of Sicily which was published under the title Sicanicarum reum compendium in 1562. Ten years earlier he had received a salary for two years from the Senate of Messina to allow him to work on this History as well as his mathematics texts. Maurolico wrote important books on Greek mathematics, restored many ancient works from scant information and translated many ancient texts such as those by Theodosius, Menelaus, Autolycus, Euclid, Apollonius and Archimedes. Some appeared in Theodosii Sphaericorum Elementorum Libri iii which he published in 1558. The work contains nine separate items by Maurolico, some translations, some commentaries, and a work of his own De Sphaera Sermo. The Theodosii also contains a table of secants and, although Delambre credited him with the first use of this function, it had appeared earlier in the work of Copernicus. However, Maurolico does prove secant = radius / cosine and secant = (radius × tangent) / sine and gives a table of secants from 0° to 45°. Maurolico also worked on geometry, the theory of numbers (L E Dickson notes some of his results), optics, conics and mechanics, writing important books on these topics which we will discuss in more detail below. Maurolico completed a restoration of books V and VI of Apollonius's Conics in 1547 working from the scant details that Apollonius gives in the Preface to the work. These were not published until 1654, about 80 years after his death, as Emendatio et restitutio conicorum Apollonii Pergaei. Both Guglielmo Libri and Gino Loria claimed that this achievement alone showed that Maurolico was a genius. ... on Thursday 21 October 1535, the day that the Emperor Charles V came to Messina on his return from the African campaign. And it would not be necessary for astronomers to refute any other principles as regards the earth, if diversity of opinion and human fickleness had not so grown that it is doubted whether one may perhaps believe and say the earth turns on its axis whilst the heavens stay at rest. Later, however, he made a much more personal attack on Copernicus which we quote below. Maurolico made astronomical observations, in particular he observed the supernova which appeared in Cassiopeia in 1572 now known as 'Tycho's supernova'. Tycho Brahe published details of his observations in 1574. Some details of Maurolico's observations were published by Christopher Clavius but full details of Maurolico's observations were never published and only rediscovered in 1960 by C Doris Hellman. The manuscript that she discovered was dated 6 November 1572, five days before Brahe made his observations. Perhaps there is an argument for renaming 'Tycho's supernova' as 'Maurolico's supernova'. This would, if nothing else, give this important mathematician some wider recognition which he so clearly deserves. ... certain compendia, in which I have treated all the essentials compactly and inserted most of the topics omitted, ignored or overlooked by others. ... requesting his aid in editing or correcting my essays. ... steps will be taken to see that the book is sent to Venice and recommended to the rector of our college, so that he may turn it over to a suitable printer for publication. ... please find out from the bookseller Giovanni Comisino what he has done about the printing of Abbot Maurolico's books, because Sicily asks us about them. But how does it happen, you ask, that the altitude of the rainbow is not exactly 45°, but a little less as ascertained by observation? I do not know how to answer this or what reason I may offer, unless it be that the falling drops are somewhat elongated or somewhat flattened, and thus, varying from the spherical form, change the angle of reflection and hence also the straightness of the ray which in the case of a perfect sphere comes back at an angle of forty-five degrees. Having recognized that the humour crystallinus, assumed to be the seat of the visual power of the eye, is in fact a bi-convex lens, Maurolico included in this treatise a discussion of the working of the eye. I wrote the foregoing work, gentle reader, not so that you would peruse only my treatment and ignore all the others, but so that you would understand the others better because of my discussion, and from it learn what was omitted by the others. I have no doubt that on the basis of my elementary exposition you will read more circumspectly, and judge more perspicaciously, what you see in Sacrobosco, Robert Grosseteste or Campanus. Grosseteste did not put an end to the reading of Sacrobosco, nor did Campanus put an end to the reading of Grosseteste, as perhaps he thought he did. In like manner Peurbach's 'Theoricae', although extremely accurate and worked out in accordance with the Ptolemaic system, could not completely eliminate the teachings of Al-Bitruji (Alpetragius) and the ravings of Gerard of Cremona. Georg Peurbach and Regiomontanus contented themselves with warning their readers to learn to the best of their ability what to reject and what to accept. But not even Atlas, who supports the heavens, despite all his vigour would have the strength to correct every mistake that has been made and to lead everyone's mind to the path of truth. There is toleration even for Nicholas Copernicus, who maintained that the sun is still and the earth has a circular motion; and yet he deserves a whip or a scourge rather than a refutation. Let us therefore go on to the remaining topics, lest we waste our time for nothing. Nobody can reasonably find fault with Maurolico and chide him for not having sided with Copernicus. I do not thereby intend to excuse our Francesco. On the contrary I readily admit that he did not know how, and was unable, to save himself from the common contagion of his times. Maurolycus in Book I of his arithmetic begins with the definitions of different kinds of numbers, namely, even, odd, triangular, square, numeri parte altera longiores, etc. By definition the nth triangular number is the sum of the integers from 1 to n inclusive and the nth numerus parte altera longior is n(n - 1). Proposition VI. The nth integer plus the preceding integer equals the nth odd number. Proposition VIII. The nth triangular number doubled equals the following numerus parte altera longior. Proposition X. The nth numerus parte altera longior plus n equals the nth square number. Proposition XI. The nth triangular number plus the preceding triangular number equals the nth square number. Proposition XIII. The nth square number plus the following odd number equals the following square number. Proposition XV. The sum of the first n odd integers is equal to the nth square number. In the proof of this last Proposition, Maurolico makes clear use induction. After proving the first few cases he uses Proposition XIII to prove the inductive step from n to n + 1. ... Maurolico's interests were not restricted to science. A list of his numerous writings appears in the "Index Lucubrationum" at the end of the volume of his 'Opuscula Mathematica' of 1575. It includes humanistic works, two libelli of carmina and epigrams, and his Latin verse translation from the Greek, Poemata Phocylidis et Pythagorae Moralia, as well as six books of Diodorus Siculus and six books of the elements of grammar. The first thinker to attempt to reconcile Archimedean statics and the 'Mechanical Problems' was the mathematician and abbot Francesco Maurolico ... Although Maurolico preferred to ground his mechanics in Archimedean statics, he nevertheless recognized the application of mechanics beyond conditions of equilibrium, to the motion of heavy bodies - the moving of weights with machines and the harnessing of impetus. His notion of the primacy of Archimedean statics in mechanics came to be shared by all the mathematical practitioners who followed. Brevis demonstratio centri in parabola, a text dated 1565, which examines mechanics problems of the type considered in his commentary on Archimedes. In this work he determines the centre of gravity of a segment of a paraboloid of revolution bounded by a plane perpendicular to the axis. We should not think that all these posthumous publications complete the printing of Maurolico's treatises. For example, in 1995 in , Roberta Tassora gives the previously unpublished text of Maurolico's reconstruction of the treatise De sectione cylindri originally written by Serenus of Antinoeia. Maurolico completed this work in 1534.